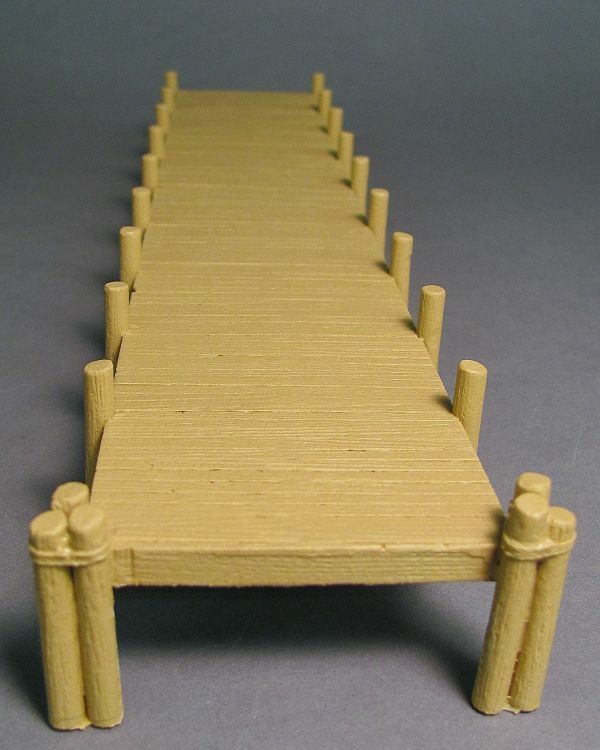 Typical wooden pier seen on ocean fronts, lakes, rivers or anywhere you need to dock your boat. 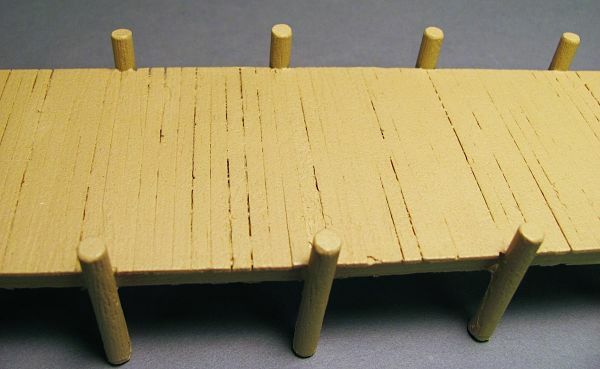 Realistic deck planks and pilings cast in place. 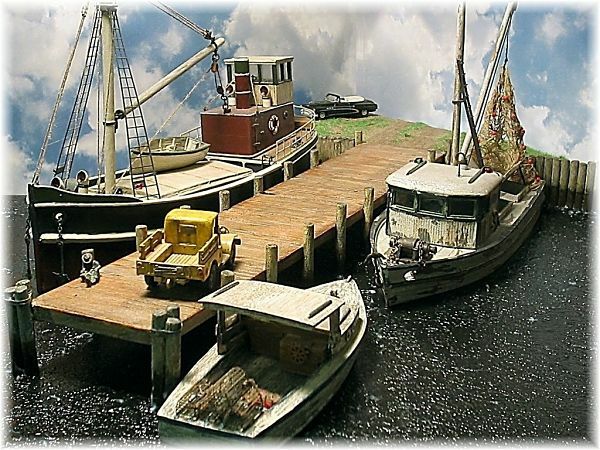 One piece casting...all that's required is minimal clean up, painting, weathering and you're ready to add it to your layout! Actual dimensions: 12.875" long by 2.625" wide. The deck is 1" above the water. 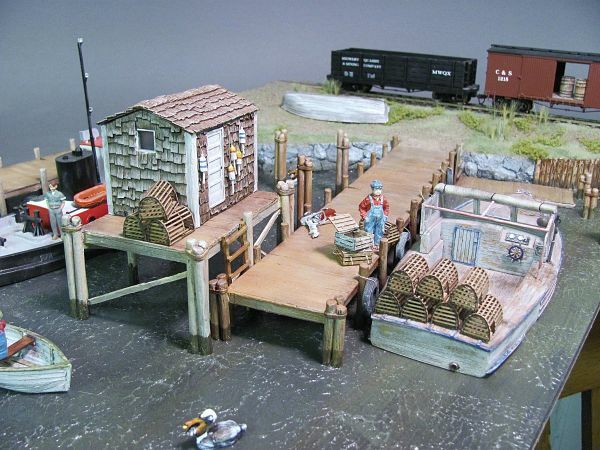 *Pier in picture shown in HO Scale scene.